James has a huge repertoire of songs to keep audiences in any venue singing and dancing along. He has a wealth of experience singing in pubs, clubs, hotels and holiday parks – anywhere where great live entertainment is needed. 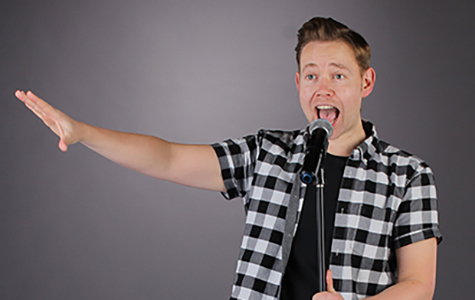 Whether you are getting married, celebrating a birthday or hosting a charity event, James can bring his unique style of vocals and humour to ensure a great night. His great pop/rock voice allows him to sing hits from the 60s to the present day and he also has a dedicated swing set which goes down well in care homes and more relaxed venues. His isn’t a show that’s intended to ‘educate’ you about music, there are no obscure B sides. It’s all hits that you and your guests will know and can enjoy. Given enough notice, James can take requests and has performed many special first dance numbers: live entertainment at a wedding can make such a difference. James can combine his vocal show with a disco to create a completely seamless evening of entertainment, perfect for a special event or Christmas party night. With no gaps (and no chance of repeating songs) booking James is the best way to guarantee a fantastic night.